NA NA NA NA NA NA NA NA ENVELOPE!!! Okay the word envelope definitely doesn't sound like Batman, but at least Batman's classic logo matches with these yellow colored envelopes! Searching the sky high and low for the perfect envelope, but don’t have the money to pay for something like the Batman signal? Well, here you go! No need to light up the sky for these bright envelopes! Masking these envelopes or hiding them from Gotham City is such a waste! They are too cute, and too bright for that! Use these envelopes to tell your city that you are here to protect them, but that you will never show your face. Or send them notes that explain to them that you aren't the bad guy ... really! These yellow envelopes will bring old school Batman back. And since envelopes are now considered "old school", it's the perfect match! 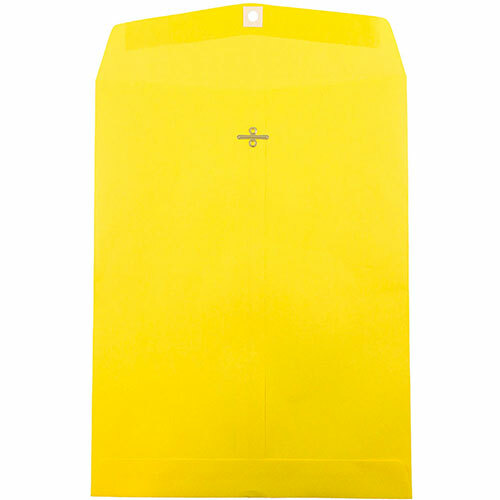 Yellow 10 x 13 Envelopes with Clasp and without clasp.